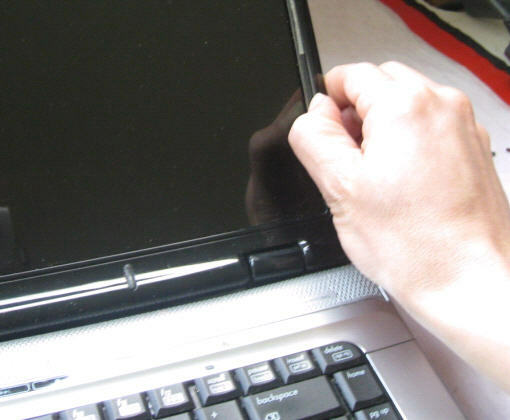 Work your way around the screen. 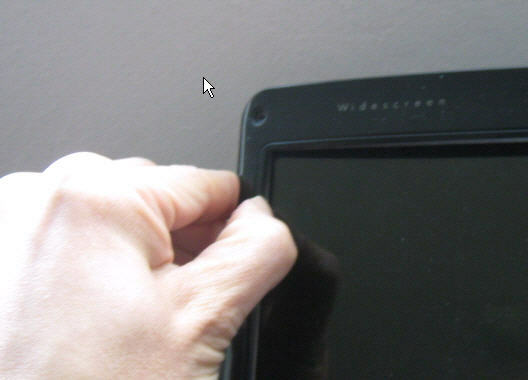 Continue on around the display. 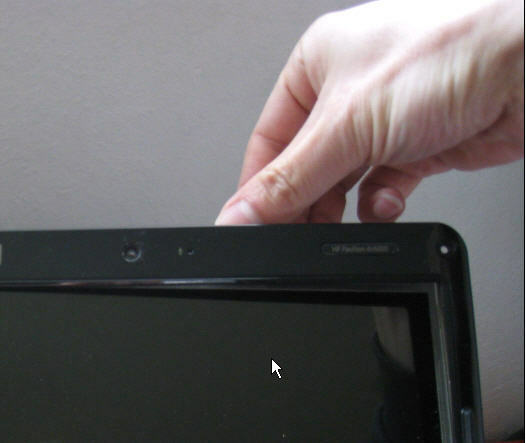 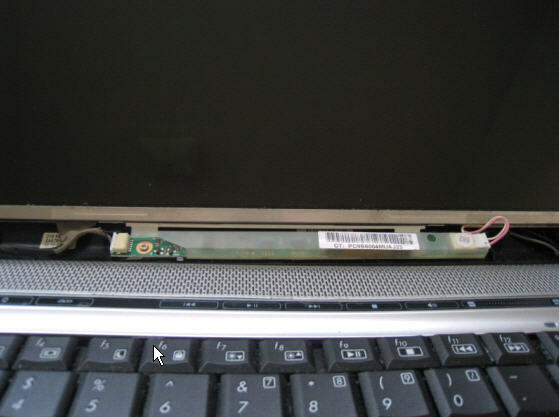 Bezel removed from display panel. 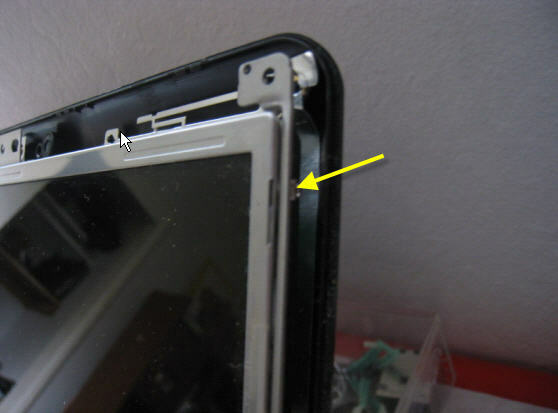 Remove screw from the hinge. 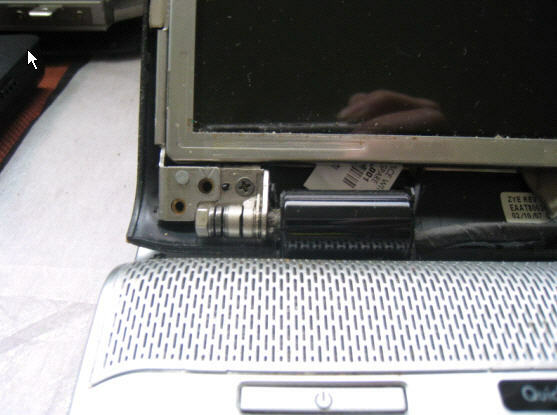 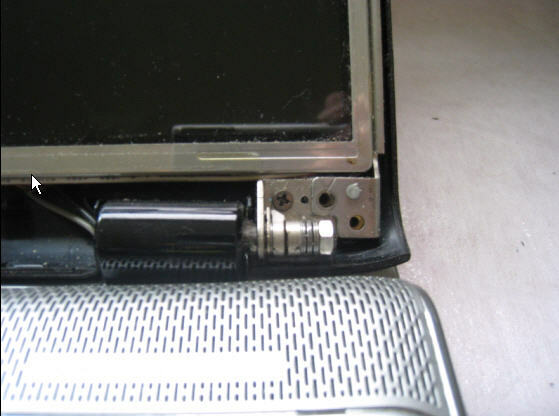 Remove screw from the other side of the hinge. 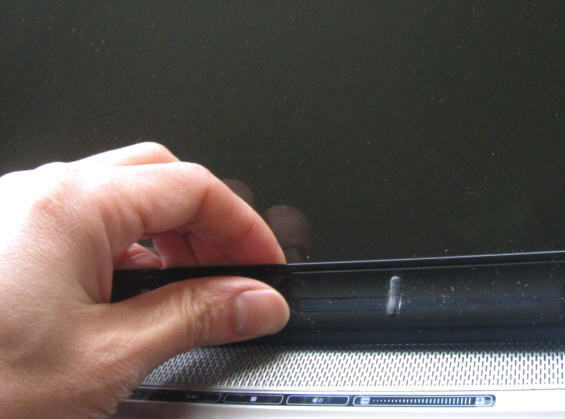 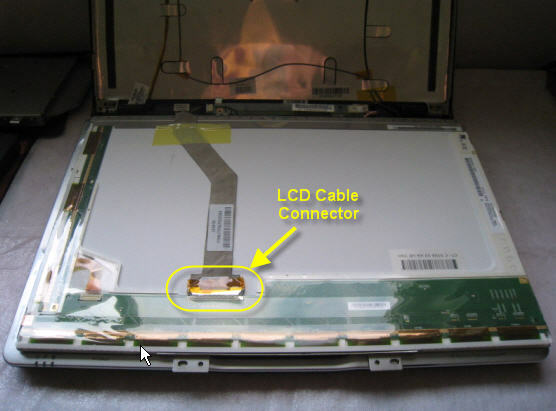 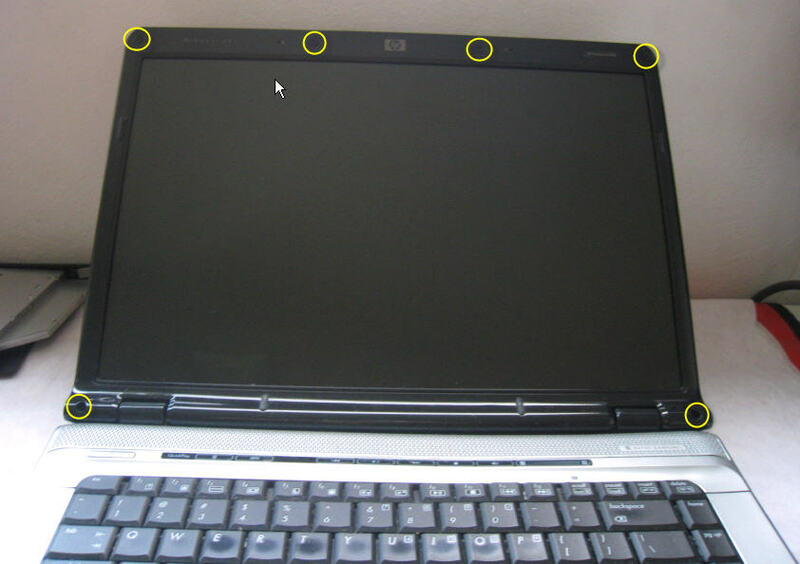 Disconnect LCD cable from LCD panel. 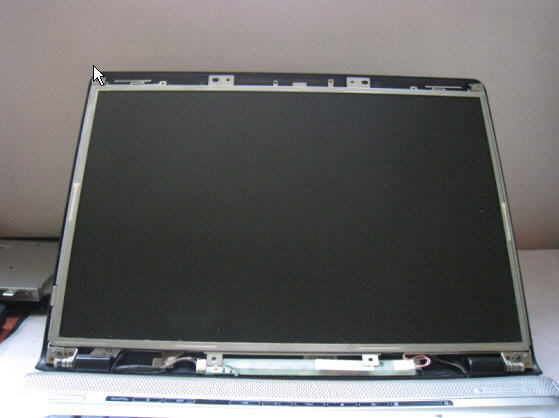 LCD panel removed. 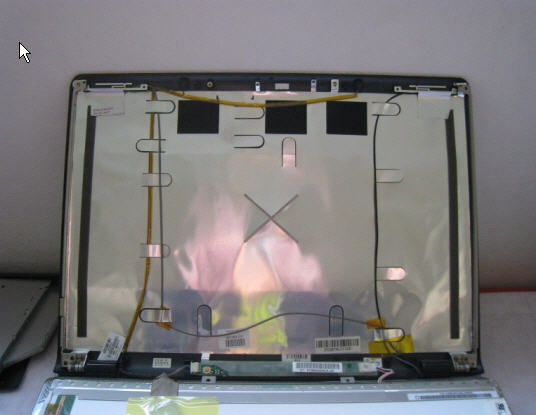 Install new replacement panel in reverse order.